on November 23rd, 2012 16:30pm in Pensions. Last Updated on May 5th, 2018 15:06pm. The financial benefits of contracting are quickly diminish once you’ve been caught by IR35, however all is not lost if you are within IR35 you are able to invest your gross taxable income into a contractor pension scheme well before the taxes can be applied. This means that you are able to invest as much of your income as you can afford without the income been taxed. John Yerou is the owner and founder of Contractor Guides; a trading style & trade mark of the award winning Mortgage Quest Ltd. One of the most recognised names in providing mortgages for contractors and freelancers across the UK. The pros and cons of contracting: is it for me? Financial advice is given by Contractor Guides, which is a trading name of Mortgage Quest Ltd and is regulated and authorised by the Financial Conduct Authority (FCA) registration number: 312484. Your home may be repossessed if you do not keep up repayments on your mortgage. © 2019. 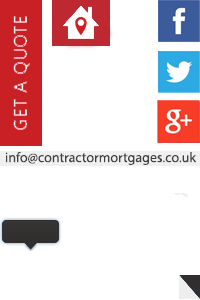 Contractor Guides for UK Contractors & Independent Professionals. All Rights Reserved.